A southbound Grand Trunk Western freight led by no. 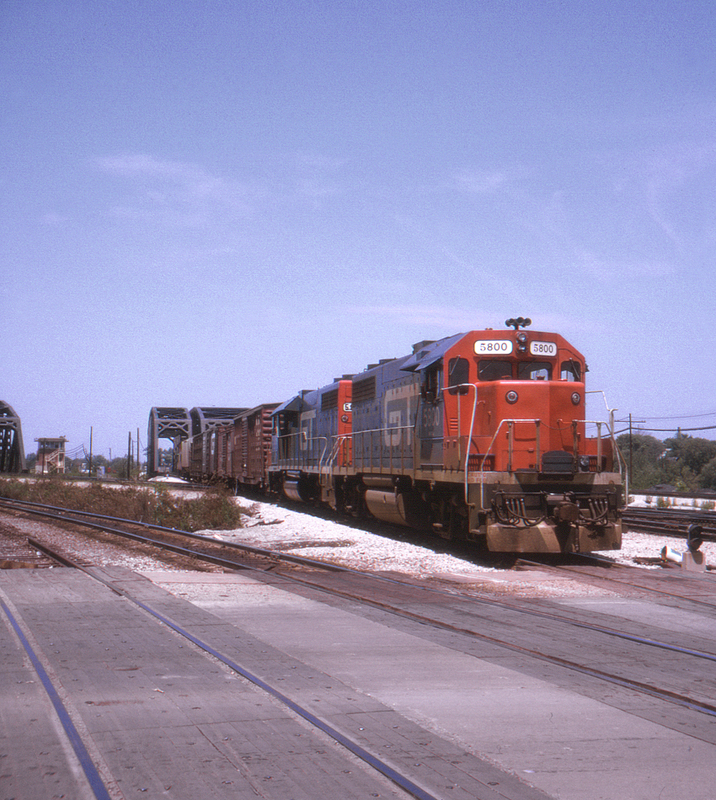 5800 is coming off the Calument Sag Channel bridge through Blue Island Crossing on the connector to the Chicago, Rock Island and Pacific, after crossing the Indiana Harbor Belt. The tracks immediately to the right of the freight are the GTW mainline; the tracks at the left are the IHB connector to the Rock Island. At the extreme right the Baltimore & Ohio Chicago Terminal line through Blue Island Crossing is visible. This page posted 2/1/2018. Text and photo ©2018 Lamont Downs.